Since 1957 we've photographed special occasions in the lives of many people. We photograph Families, High School Seniors, Weddings, Graduations, Reunions, Portraits, Events (Proms, Balls, etc. ), and Maine State Music Theatre productions. We take U.S., Canadian and Foreign Passport/Visa photographs! 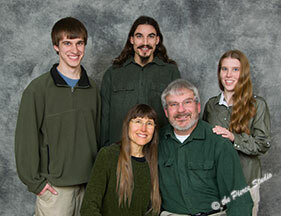 We photograph in our Brunswick, Maine studio, Harpswell outdoor studio, or at a location of your choice. FRAMING! - Custom archival quality framing for your portraits, photographs and artwork is also available. We have a large selection of frames and archival mats. 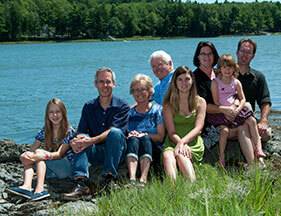 "Family portraits on the Maine coast!" Jeffrey Morris, PPA Certified Professional Photographer and owner, is an accomplished wedding, portrait and commercial photographer. His photographs have won awards for excellence throughout the region including 2018 & 2013 CPP Competition Awards, 2018 Commercial Image Award, 2008 Court of Honor, 2005 FUJI Masterpiece Award and the Maine Photographers President's Cup. Jeffrey is a Certified Professional Photographer (CPP) and CPP Liaison. CPP Liaisons assist candidates and existing CPPs as subject matter experts and sources of information. Each liaison must maintain his or her certification and PPA Membership, and is entrusted with responsibilities to maintain the integrity of the program. Jeff is a member of the Professional Photographers of America, and aPast President of the Maine Professional Photographers Association and a member of the National Association of Photoshop Professionals. He is a New England Institute of Professional Photography graduate. Jeff's photographs have been published in People, DownEast, ModernBride, Where To Retire, Wedding Vow, Sports Illustrated, Portland, Port City Life, and First for Women magazines and on the Gatorade website. Wanda Morris co-owns the Pierce Studio. 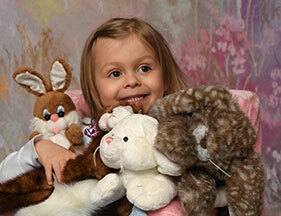 She schedules appointments and assists you when designing a portrait package to suit your family. She creates wedding albums with the utmost attention to detail and quality, ensuring that your album becomes a treasured family heirloom for years, and generations, to come. Please use menu at top left to sample our work.